Penny Lee Simpson, a 60-year-old white female, died Thursday, Sept. 20, after being stabbed in Lincoln Heights, according to Los Angeles County Medical Examiner-Coroner's records. Fernie Xavier Garcia, a 19-year-old Latino, was shot and killed Friday, March 23, at Johnston Street and Manitou Avenue in Lincoln Heights, according to Los Angeles County coroner’s records. Garcia was driving a gray sedan on Manitou Street and stopped at an intersection about 2:25 p.m., Los Angeles Police Det. Jose Ramirez said. Another vehicle pulled alongside Garcia’s car, and a person fired from the vehicle, Ramirez said. A passerby stopped and called 911, and Garcia’s car came to a stop near Gates Street and Manitou Avenue, Ramirez said. Garcia was taken to a hospital, where he was pronounced dead at 3:05 p.m., according to coroner’s records. A passenger in Garcia’s car was not injured during the shooting. Robert Padilla, a 30-year-old Latino, was shot and killed Wednesday, Nov. 22, in the 1900 block of Sichel Street in Lincoln Heights, according to Los Angeles County coroner’s records. Padilla was standing in front of a home talking with some friends about 7:50 p.m. when a white car drove by, Los Angeles Police Det. Jose Ramirez said. A person inside the car fired several gunshots, Ramirez said, striking Padilla. Padilla was pronounced dead at the scene at 8 p.m., according to coroner’s records. Padilla had relatives in the area, Ramirez said. A GoFundMe page set up after his killing described Padilla as a father of two children, ages 5 and 11. Across from 1832 Johnston St.
David Molina Jr., a 35-year-old Latino, was shot and killed Tuesday, June 6, in the 1800 block of Johnston Street in Lincoln Heights, according to Los Angeles County coroner’s records. About 2:53 p.m., Molina was standing alone on a sidewalk when a person walked up and shot him from behind, Los Angeles Police Det. Jose Ramirez said. Molina was taken to a hospital, where he was pronounced dead at 3:07 p.m., according to coroner’s records. The gunman ran south on Johnston Street and was described only as a male wearing dark clothing, Ramirez said, adding that he thinks Molina was targeted. “They definitely knew who they were going after,” Ramirez said. Anyone with information is asked to call Ramirez at (323) 342-8960. Those who wish to remain anonymous can call Crime Stoppers at (800) 222-8477. Judith Lillian Solorio, a 35-year-old Latina, was shot and killed Saturday, April 15, near Barranca Street and West Avenue 28 in Lincoln Heights, according to Los Angeles County coroner’s records. Solorio was walking around midnight when she was shot multiple times, Los Angeles Police Det. Jose Ramirez said. A passerby found her and called police, Ramirez said. Other residents told detectives they had heard several gunshots and called police. Solorio was pronounced dead at the scene at 12:08 a.m., according to coroner’s records. Ramirez said that Solorio didn’t have a permanent residence and police are looking into why she was in the area, adding that the mother of two had grown up nearby. Police are looking for witnesses to the shooting. Leonard Villapudua Garcia, a 50-year-old Latino, was fatally stabbed Friday, Aug. 14 at Lincoln Park at 3529 N. Mission Road in Lincoln Heights, according to Los Angeles County coroner’s records. Shortly after 5 p.m., Garcia got into an argument with another man, described by witnesses as a Latino between the ages of 25 and 30 years old, said LAPD Det. Jose Ramirez. The argument became physical, and the man pulled out a sharp object and stabbed Garcia. Ramirez said it’s unknown what Garcia was stabbed with. Garcia was pronounced dead at the scene at 5:15 p.m., according to coroner’s records. Ramirez said that Garcia is a regular at the park and the suspect is also presumed to be a frequent visitor. The two may have known each other, but it's still unknown what the two men were arguing about. 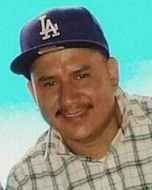 Luis Martinez, a 35-year-old Latino, was shot and killed Tuesday, April 21, in the 3400 block of Manitou Avenue in Lincoln Heights, according to Los Angeles County coroner’s records. Shortly before 4:30 p.m., Martinez’s wife called 911 and told dispatchers that her husband was stabbing himself, said LAPD Det. Meghan Aguilar. When police arrived at the home, Martinez allegedly came outside holding a hunting knife. Officers told him to put the knife down, Aguilar said, but he allegedly charged at police, prompting officers to open fire. It is unclear how many officers fired. Martinez was pronounced dead at the scene at 4:54 p.m., said Ed Winter, assistant chief of investigations for the coroner’s office. The identify of the officers who fired may be released after Chief Charlie Beck is briefed on the incident. David Cardiel, a 37-year-old Latino, was shot and killed Saturday, March 21 near Eastlake Avenue and George Street in Lincoln Heights, according to Los Angeles County coroner’s records. Shortly before 7 p.m., Cardiel was driving a white SUV down Eastlake Avenue when he stopped and talked to a man who pulled out a gun and shot him, said LAPD Det. Jose Ramirez. The shooting caused Cardiel to crash into at least one parked car. Cardiel was pronounced dead at the scene at 7:11 p.m., according to coroner’s records. Detectives were able to collect physical evidence that led them to the suspect, Hector Castillo, a 28-year-old Latino, Ramirez said.